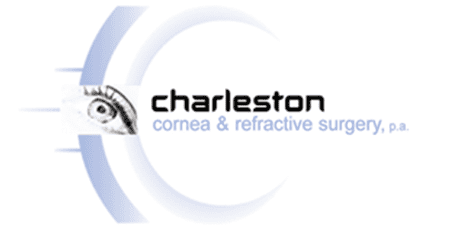 Specialty eye care at Charleston Cornea & Refractive Surgery focuses on eye diseases that develop as you get older. 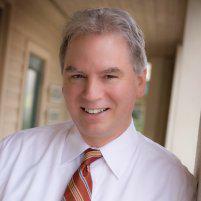 Dr. David O’Day has extensive experience detecting the signs of progressive eye conditions, such as age-related macular degeneration and glaucoma, long before you develop any symptoms or vision changes. When you schedule routine exams, Dr. O’Day’s early diagnosis and treatment can protect your vision as long as possible. To schedule preventive eye care, use online booking or call the office in Mount Pleasant, South Carolina. Glaucoma is a group of eye diseases that damage your optic nerve. In most types of glaucoma, the optic nerve is damaged due to high intraocular pressure (IOP), which is the pressure created by gel-like fluid inside your eye. When IOP stays high, glaucoma eventually causes vision loss and blindness. To maintain normal IOP, the amount of fluid that’s produced inside your eyes must be equal to the amount that leaves your eyes through their primary drainage system, the trabecular meshwork. IOP increases when there’s too much fluid inside your eye, which happens when too much is produced or the trabecular meshwork is blocked. As the pressure builds, it pushes against the optic nerves, causing permanent damage. Open-angle glaucoma is the most common type, accounting for 90% of all cases. It occurs when drainage canals in the trabecular meshwork are clogged. This type develops suddenly when the opening to the trabecular meshwork becomes blocked. Angle-closure glaucoma is a medical emergency — IOP increases rapidly, quickly damaging your optic nerve. You may experience blurred vision, eye pain, nausea, headache, and halos around lights. Glaucoma can exist for years without causing any symptoms. Eventually it damages enough of the optic nerve to cause loss of your peripheral vision, which is gradually followed by loss of central vision and blindness. Treatment for glaucoma focuses on lowering and maintaining normal IOP. The first-line of treatment is eye drops that either reduce production of fluid or improve drainage. Macular degeneration, or age-related macular degeneration (AMD) occurs in your retina, in an area called the macula. The macula contains millions of light-sensitive cells responsible for sharp, central vision. AMD develops as these cells deteriorate, which puts you at risk for vision loss and blindness. What are the two types of macular degeneration? Dry AMD occurs in 90% of patients. It develops as age-related changes and drusen — lipid deposits — cause degeneration, making the macula thin and dry out. This is a more severe form that can lead to rapid vision loss. When you have wet AMD, abnormal blood vessels develop under the macula. When these blood vessels leak blood and fluid, the macula swells. It can progress to cause a detached retina. A dilated eye exam determines the progression of AMD, then treatment depends on the stage of your disease. If you have wet AMD, Dr. O’Day may recommend medications and treatments to stop abnormal blood vessel growth. Diabetic retinopathy develops gradually as high blood sugar damages small blood vessels in your eyes. In the early nonproliferative stage, small blood vessels form microaneurysms or swollen areas that gradually leak into the retina. As the fluid builds up in the macula, you develop diabetic macular edema, which leads to vision loss. In its more advanced stage, the proliferative stage, your eyes begin to grow abnormal blood vessels that are fragile and leak blood. As a result, vision loss and blindness can develop. If you develop symptoms, you may have floating spots or blurry vision. Most patients, however, don’t have symptoms until their vision is affected. It’s vital to manage your blood sugar levels. Keeping blood sugar within normal limits can prevent diabetic retinopathy or slow its progression. Eye treatments include laser surgery or injections to shrink abnormal blood vessels, stop the growth of new blood vessels, or reduce swelling. How does aging increase your risk of retinal detachment? The gel-like fluid inside your eyes, the vitreous, is clear, yet it contains thin fibers that attach it to the back wall of your retina. As you get older, the vitreous gradually shrinks, making the fibers pull on the retina. When the fibers break, the vitreous separates from the retina. This vitreous detachment can lead to a torn or detached retina. If you suddenly have an increase in floaters, or you have floaters together with flashes of light, contact Dr. O’Day immediately. They’re symptoms of a retinal detachment, which must be treated immediately to prevent permanent vision loss. The best way to protect your vision is with routine eye exams, so call Charleston Cornea & Refractive Surgery or book an appointment online.